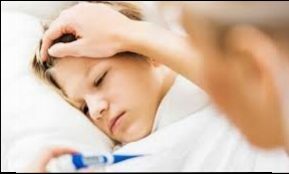 Why your child needs the flu vaccine this year. For all pregnant women, and for all young children, they are advised to have the free flu vaccine and Public Health England (PHE) is urging this group of people to get protected before winter really starts in full force. Flu can be quite worrying for little children, and if they get it, they can spread it around the whole family, including to other young children and babies, and the elderly. This is why parents of children aged 2-3 and those in reception, school year 1, 2, 3 and 4 are being offered the vaccine for free. Most parents (69%) know that flu can be serious and debilitating, especially for young children, and last year more children than ever were vaccinated against flu. What is also brilliant is that for those that were vaccinated, the flu vaccine nasal spray reduced the risk of getting flu by 65.8%. So it is very effective. Why does my child need flu vaccine? Who will supply the flu vaccine for my child? Visit https://www.nhs.uk/staywell for more details on how to help you and your family to stay well this winter.